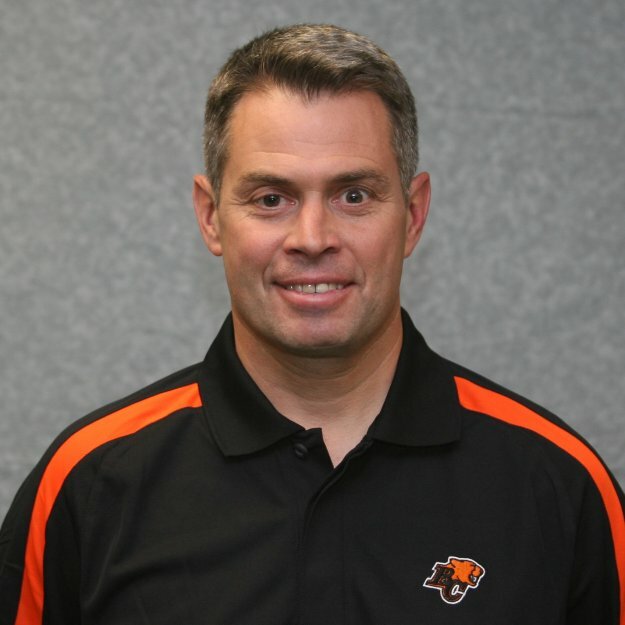 Jacques Chapdelaine was a first round pick (fifth overall) in the 1983 CFL college draft by the BC Lions out of Simon Fraser university. Chapdelaine's playng career follows an oft repeated pattern in the CFL. As a high draft pick, Chapdelaine got to see a fair amount of action in his rookie season in 1983 with the Lions, snagging 22 passes. Chapdelaine's playng time fell off in his second season with just 7 catches and he became yesterday's news in BC, being traded to Montreal for a third round draft pick. In his first year in Montreal in 1985, Chapdelaine didn't see much action either, picking up 3 catches in only 7 games. Chapdelaine's breakthrough year came in 1986 when he caught 53 passes for 688 yards. 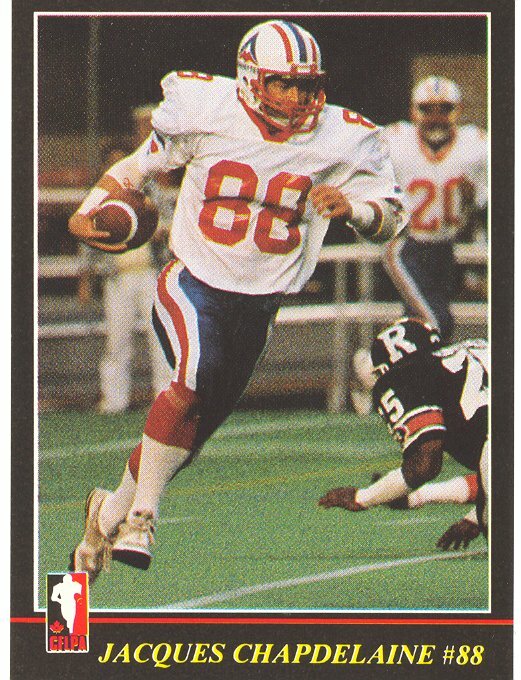 When the Montreal Alouettes folded just prior to the start of the 1987 season, Chapdelaine ended up in Hamilton as a first round pick in the dispersal draft and put up similar numbers with 37 catches in just 13 games. and again in 1988 with 43 catches for 542 yards. Hamilton released Chapdelaine in August of 1989 and he was picked up late in the season by Calgary where he played one final game. After retiring as a player, Chapdelaine took up coaching and started his coaching training in the Canadian college ranks as an assistant with Bishop's in 1990 and 1991. Chapdelaine was also an guest coach with the Argos in 1991 at traiing camp and joined them full time in 1992 as the special teams and receiving coach. Chapdelaine returned to Biship's in 1994 and then in 1997 got his first head coaching job at Laval. Chapdelaine spent five season in Laval, winning a Vanier Cup in 1999. Chapdelaine returned to the CFL in 2001as the special teams and receivers coach with Calgary. In 2002, Chapdelaine got a promotion to become the Stamps' offensive coordinator. In 2003, Chapdelaine moved to BC with Wally Buono to become the receivers coach and then later offensive coordinator, winning a Grey Cup in 2006. Chapdelaine spent one season with Edmonton in 2007 and then returned to the Lions as receivers coach in 2008 and then back to offensive coordinator in 2009 and 2010.